to ensure the performance of desktop, web, and mobile apps in your on-premise, cloud, or hybrid environments. Component level breakdown that provides information on which component performance of a page. 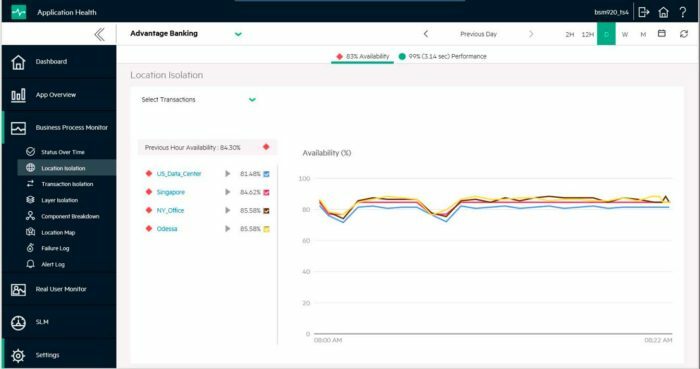 Gain visibility into application end user experience and track user transactions across automatically discovered application tiers. Application Performance Management (APM) Solutions allow you to isolate problems real-time for all of your applications whether on-premise, cloud, or mobile. Competitive pressures are forcing you to evaluate and align your organizational structure to be sure that your entire enterprise is focused on corporate goals and objectives. This shift is forcing you to approach business operation with an eye toward customer service, proactive management, and time-to-resolution. As a result, many are changing strategy and focusing on the user experience while continuing to deliver traditional IT products and services. They recognize that simply managing individual system and network components is no longer enough—providing an outstanding user experience, in addition to performing conventional system management, is the new gold standard for IT organizations. Many traditional IT monitoring tools fail to focus on total service availability, performance, and value from the user point of view. The need for clear visibility into the end-user experience—including the ability to measure and monitor what users actually do—is essential for making the transition to a service oriented focus to provide the best possible user experience. Be the first to know, improve MTTR. 24/7 Virtual users are simulated by running scripts at regular intervals from multiple physical locations, alerting you for availability and performance issues before your customers will be impacted. 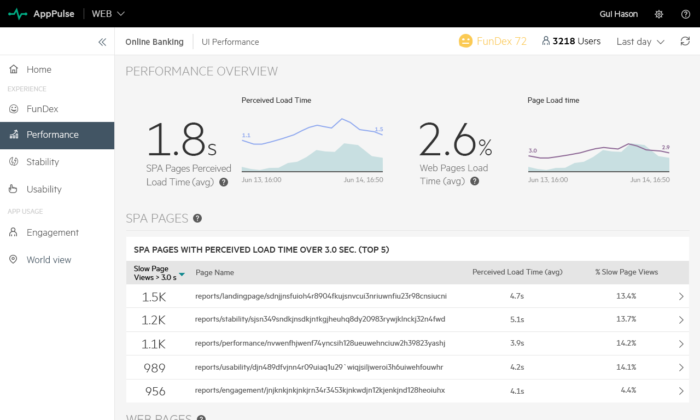 Measure real end user experience, isolate specific session issues. 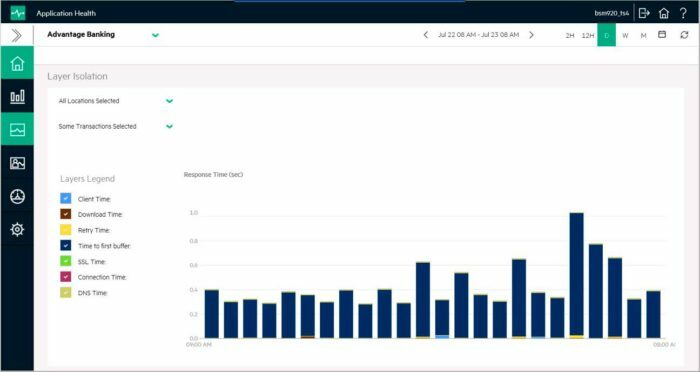 Measure the real end user experience performance of all users at all locations all the time, and automatically discover underlying infrastructure and classify user actions. Track user actions to line of code, improve MTTR. Drill deep into user actions and back-end performance in traditional, virtualized, and cloud environments to diagnose bottlenecks and quickly isolate and resolve issues. Powerful agentless system monitoring. Single toolset for infrastructure, applications and network monitoring with 100+ out-of-the-box monitors and monitor templates to easy isolate system issues. Manage your SLA’s, focus on your business. Status dashboard for all the configured SLAs and OLAs, to mitigate risk of SLA breaches. Can implement customized monitoring processess to meet the needs of each clients’ business. Request more information. Request a demo.